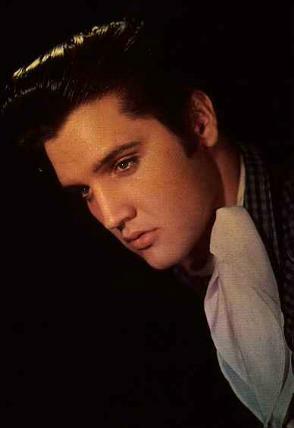 ♥ Elvis ♥. . Wallpaper and background images in the Ingrid's Graceland club tagged: elvis presley the king singer rock n' roll 50s gorgeous. This Ingrid's Graceland photo might contain चित्र, headshot, closeup, हेडशॉट, and क्लोज़अप.